We do not see health as it is; we see health as we are. My late mother and father divided their lives into two segments: before they had multiple sclerosis and colon cancer respectively, and after. Their well selves and their ill selves. Wellness and illness are among the primary drivers of our own identities—of how we subjectively define ourselves in relation to the world. Today, wellness has left behind its reputation as merely the converse of illness. Health is now perceived by people—each in their own fashion—as an aspirational state of being where one is at one’s best. It has moral as well as physical implications. The guilt one feels biting into a cupcake. The runner’s high. The righteous burn in pursuit of a personal duty. “I’m going to be good today,” many of us have thought, because to betray one’s health rituals is a betrayal of self. One great influence behind this sea change is the ready availability of therapies that make it hard not to comply. How can any reasonable person say “no” to one pill once a day for many conditions that used to cause serious morbidity and compromise our longevity? Heart disease, diabetes, depression, even AIDS can all be medically well managed with less effort than ever before. This has helped create an imperative to embrace health as a self-defining value. The simpler it is to achieve health goals, the more people want to set them. Wear a pedometer and make your steps goal for the day. Track your sleep habits. It’s both a psychic and physical reward. Because medical and technological advances now put an idealized state of health within easier reach, we have become the kind of people who feel that we are not being true to ourselves if we neglect to grab hold of it. Pharmaceutical companies are not the only active force in the dynamic. People implore healthcare manufacturers to help them boost whatever they feel is holding them back from their idealized healthy selves, whether it is a disease or just normal signs of an aging body. Wrinkles, pregnancy and baldness may not be pathological conditions, but that doesn’t stop people from insisting on Botox, oral contraceptives, and Propecia (finasteride) respectively. And they do insist on them, not because healthcare manufacturers have brainwashed the country into becoming “patients,” but rather because people now more than ever demand greater control over their bodies; and the technology exists to empower them. Today health and wellness extend into all aspects of life beyond therapies and Big Pharma. 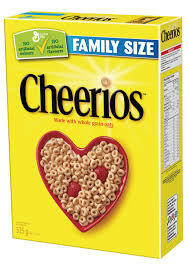 Walking down the cereal aisle in the grocery store, you would think you entered a clinic of sorts as you read how Cheerios and other whole grain products are part of a heart-healthy regimen. Chairs and car seats are now ergonomically designed so that the alignment of your spine mirrors the alignment with your self-perceptions about doing right by your body. Spas issue a siren’s call to all whose mental wellbeing craves care and feeding. 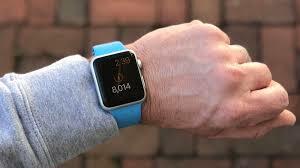 Fitbit, Jawbone, and other accessories keep us in touch with how far we’ve walked or biked or how deeply we’ve slept. Dating sites demand that we declare if we are “drug and disease free.” From cosmetics to clothing to sunglasses to emotional support animals, there is hardly a product or service that doesn’t strive to appeal to how we use health and wellness to define ourselves. Like every other brand choice people make about what car to buy, or which coffee to prefer, or which sports franchise to root for, the consuming of health products and services helps us define who we are or who we wish to be. However, unlike non-healthcare consumer brands, the products and services in question are not something that people necessarily want to buy, but rather things they need to buy. People make consumer brand choices to craft (albeit, often unconsciously) a public image of what makes them uniquely them (even if it’s what the great majority is also doing). “Hey, I’m cool, I’ve got the newest iPhone! Wanna see?”. In contrast, people do not consume healthcare brands to celebrate who they are. Rarely, if ever, do people gain social status or improved personal image from showing off the new medicine they’re taking or medical device they now use. Rather, people make brand choices about healthcare to protect their image from crashing down. The same person who proudly wears Prada suits, reads Fortune magazine, drives a hybrid sports car, and subscribes to a posh gym doesn’t want anyone to suspect he or she has herpes, depression, or any other condition that would otherwise mar their polished façade. When creating healthcare brand identities, I often counsel clients that the best thing their brand can promise people is that no one will know that they have the condition being treated. I can see the disappointment bloom on their faces when they grow to accept that the subject of their careers—while very helpful or even essential—has the potential to turn people off. But this is an essential truth about healthcare branding that makes it different from consumer brand marketing. Illness can ignite and identity crisis because it robs people of who they aspire to be. Now, “wishing you good health” is not just a benign toast one makes before sipping a glass of wine, it’s a recognition of a sentiment to remain who you are and who you want to be. So drink up, and as you do, celebrate life as you know it today because tomorrow you may wake up to a new identity—one defined by illness instead of health.